ohhhhhhh love it, love it, love it!! I would like to have a Simon...or maybe even a Josh! Wonderfully written nothing too over the top, beautiful English scenery and lovely characters. 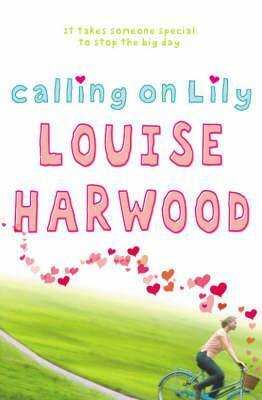 The copy I read was an uncorrected proof copy, and I did wish I'd had my red pen at hand frequently to edit the mistakes LOL!I enjoyed the book, this was Louise Harwoods, first book - but have read others previously which I think I've enjoyed more, but that is a good thing! !I liked the storyline, and the characters, even the little twist near the end!! (won't spoil it!!). A really fun, feel-good book, cheered me up no end. This is the ultimate holiday read, its interesting but goes along at a not too fast pace and can be picked up and put back down without getting lost.